A big thank you to all our guests at our Advent Sale. It was a wonderful start to the festive season. 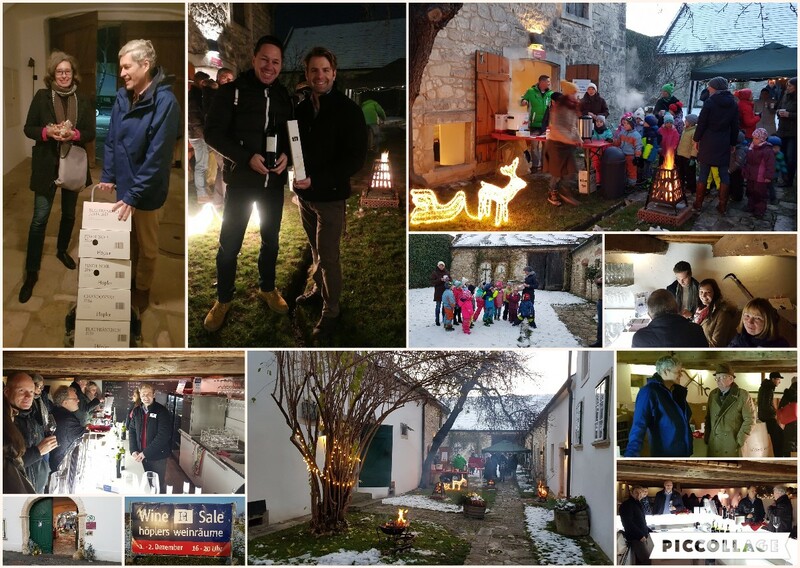 Snow in our candle lit courtyard, warming fires, Christmas prices, Gluhwein and sausages charmed guests and friends alike. This is our third year of running the event and guest numbers hit a new record. People enthusiastically tasted through our Hoepler wines and picked their favorites to take home with them. A few came extra prepared, some by bus and others with trolleys to load their cases of wine! 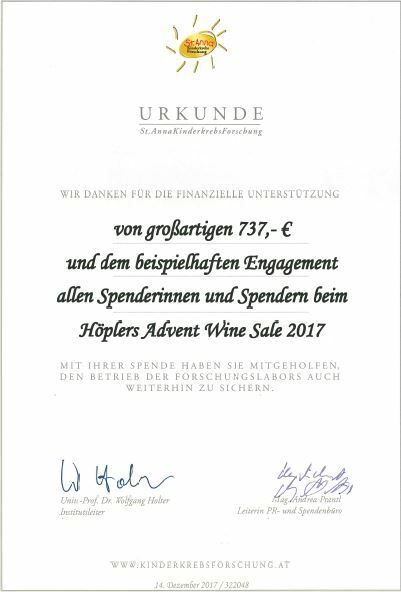 We also raised a fabulous 737 € for St Anna’s Child Cancer Research at our Hoepler Advent Stall where we sold advent wreaths and Christmas biscuits, made by our hard working colleagues. Please don’t forget to put this event in your diary 30 Nov and 1st Dec, 2018. We strive to make each year even better, with more things on offer, so do bring friends and family along to enjoy the atmosphere. You won’t be disappointed.